The Beadboard Headboard adds cottage charm to a bedroom. The solid wood beadboard panels and unique scrolled top add a touch of French style to the headboard. 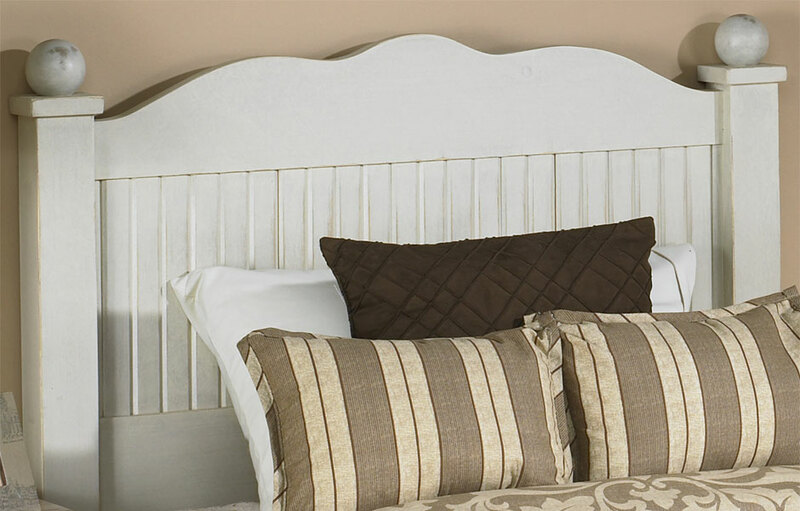 Our slatted headboard features square post with caps and large ball finials to complete the casual feel. The beadboard headboard is a graceful addition to any coastal style, cottage style or kid's bedroom. Available in sizes of Twin, Full, Queen, and King. Mounting hardware not included. Nothing says "Cottage" like beadboard. The Beadboard Curved Headboard adds the right amount of charm and French country style to a bedroom. 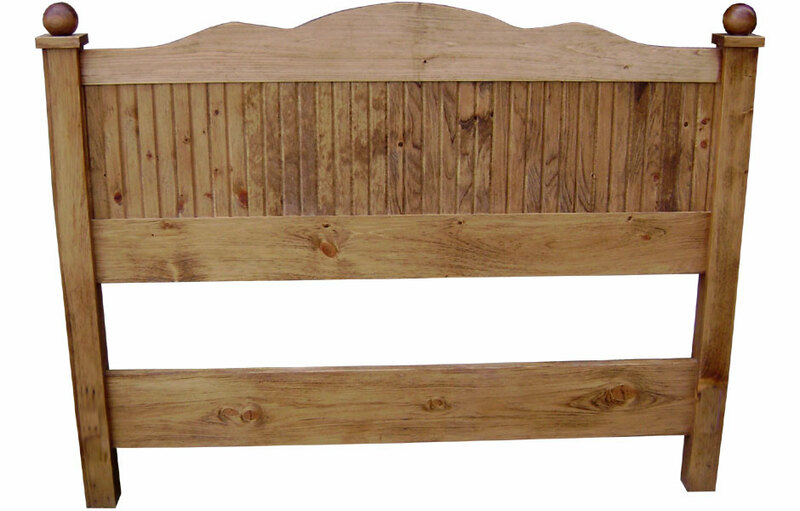 The 47" tall beadboard headboard is also perfect for a coastal cottage style bedroom. The solid wood beadboard panels and scrolled top add sweet details to the bed. Our wood slatted headboard features square post with caps and large ball finials to complete the casual feel. 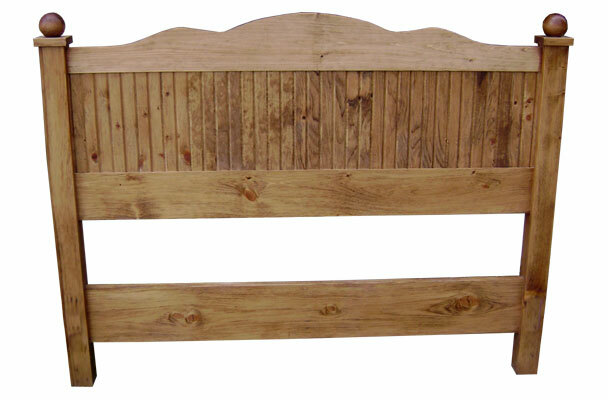 The beadboard headboard is a graceful addition to any beach style, cottage style or kid's bedroom. The beadboard headboard can be painted in any of our traditional French milk paint finishes for a classic Provincial style. The slatted headboard can also be stained to highlight the wood grain for a more contemporary style. Mounting hardware is not provided because every bedframe mounting hole differs in height, size and positioning. A headboard can be mounted to bedframe with a standard bolt and washer, or, mounted directly to a wall. The Beadboard Curved Headboard complements French Country, English Cottage, Farmhouse, Rustic, Transitional and Traditional style decors. Beadboard Curved Headboard platform bedroom set finished in Sturbridge.